Glasgow City Centre has over 50 clubs and over a 100 pubs and bars. Friday and Saturday nights see the streets of Glasgow swell with people moving from one place to another, although you can find some of the best entertainment in Britain on every night during the week. Wow crowds in Glasgow with our superb Hummer limo, be the centre of attention in Glasgow by arriving in the only stretch Range Rover in Scotland. Limo hire in Glasgow is at its most popular on a Friday or Saturday, so to avoid disappointment, please book your limousine hire early. 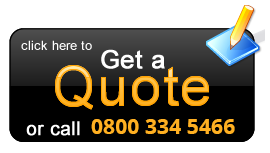 Contact Limotek.co.uk today on 0871-789-9911 to find the limo you want in Glasgow. There is something for everyone in Glasgow, from traditional pubs selling real ales to theme bars such as 'Bar Jedi' - a star wars bar, and 'The Cooler' - a prison themed bar! The clubs in Glasgow are no different. Serious clubbers in Glasgow can enjoy today's best DJs at Archaos, the Arches, the Sub Club, Alaska and Yang amongst others and those more up for a cheesy night on the town will find exactly what they are looking for in places like the Garage, Fury Murray's, the Savoy, Trash, G2, Velvet Rooms and Tiger - Tiger. Wherever you want to go in Glasgow, there is fantastic and affordable limo to be had. Pink Hummer limos for the ladies, Range Rovers for the lads. 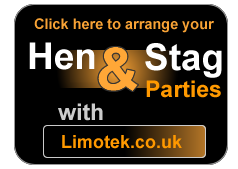 Contact Limotek.co.uk and book your Glasgow limousine today.